– The vapor from the Hookahs does not stain surfaces like tobacco. 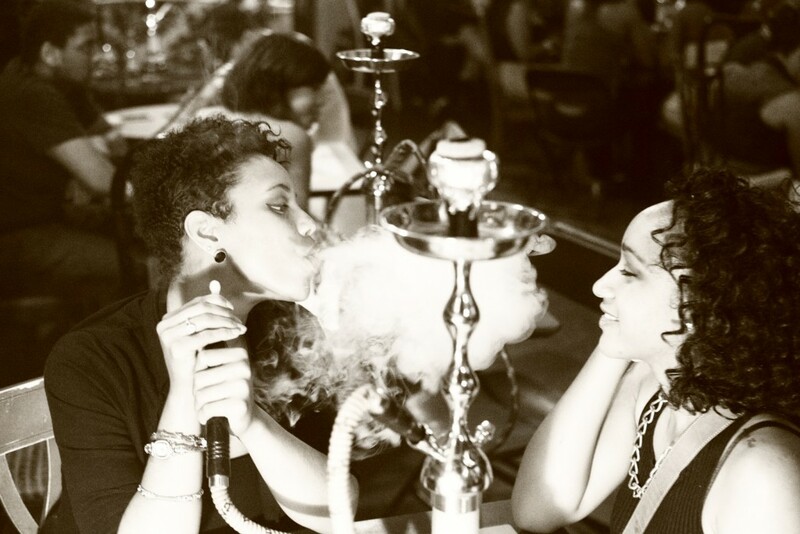 – Like cigarettes and cigars, Hookahs are a social magnet. They bring people together! This is the main reason why we adopted them around 8 years ago. – Hookahs have been around longer than most people think. They started hundreds of years ago in Morocco. Moroccans smoke Hookahs while they meet, socialize and even pray. – Hookahs got a bad rep mainly because of two things…1. They look like its cousins, the bong in which people sometimes smoke illegal drugs from. 2. When people exhale, it seems as if a lot of smoke is coming from their lungs but not only is it only coming from their mouth, it’s not real smoke! What makes a Hookah mildly dangerous is the coal because it lets off small amounts of carbon monoxide. When you hear off a person passing out at home while smoking a Hookah, it’s normally because there in an enclosed room and they took in too much carbon monoxide. We have carbon monoxide readers throughout each location which alerts us if levels go over 10ppm. Dangerous levels start 70ppm, we have never reached that limit. 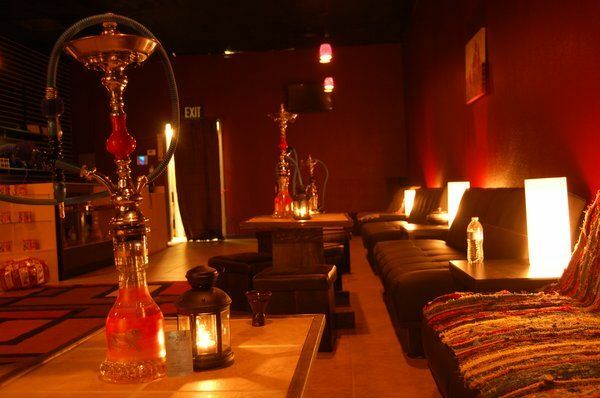 Red@28th follows all Mecklenburg Code Enforcement, Fire Department and Environmental Health Department rules in regards to having Hookahs in which we had to install a $30,000 AC unit in addition to what we already had. This addition circulates at 60ppm per person (that’s more than double of a standard commercial AC unit). We also have Oasis machines that eat carbon monoxide just as a back up to the AC unit. © 2016. Red @ 28th. All Rights Reserved.